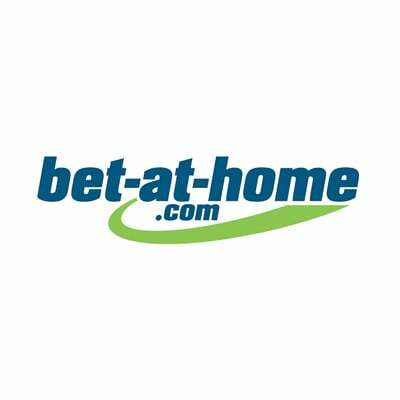 Bet at Home Casino has been around for almost 20 years. Since it launched in 2000, the online casino has continued to gain popularity amongst online gamers. It offers an excellent assortment of casino games powered by some of the best developers around, plenty of casino payment options and bonuses and promotions well worth writing a review on. One of the reasons for Bet at Home Casino’s unwavering popularity is the fact that it is fully licensed and regulated in Malta by the Malta Gaming Authority. There’s no denying that Malta is a highly reputable and secure jurisdiction for online gambling operators, which is great news for players. The company behind the casino has a very clear vision of delivering an impressive array of products in an entertaining way. That’s why you’ll find an amazing selection of games in the lobby, including slots, progressive jackpots, live dealer games, video poker and table games. What’s more, it’s easy to see how Bet at Home Casino has brought its vision to life when you know that their games are powered by software giants, NetEnt. Bet at Home Casino’s focus is the European market, which means the software is available in many European languages and the casino accepts several European currencies. Let’s see what this online casino can offer UK players. If you’re a new player to Bet at Home Casino, you’re in for some seriously exciting welcome bonuses, depending on your bankroll. Firstly, there’s the standard welcome offer, then there’s a rather generous high roller welcome bonus. Let’s start with the standard welcome offer. If you deposit anywhere from £1 to £499, you will get up to £200. In other words, the casino will double whatever you deposit, giving you a nice boost to start with. Now on to the high roller welcome bonus. Deposit £500 or more and as a new player you’ll get a 50% match deposit bonus up to £1,000. As per usual, these welcome bonuses carry certain terms and conditions. The playthrough requirements are a reasonable 30x your bonus amount, to be met within 28 days. One of the best ways to fulfil the wagering requirements is by playing the video slots. Video poker, Texas Hold’em, Punto Banco, baccarat and blackjack contribute 10% while roulette contributes 25%. Since Bet at Home Casino is a handy one stop gaming solution, you’ll also find welcome offers for new players at the Sports Betting and Poker Room sections. If it’s your first-time betting on sports here, you can enjoy a 50% bonus up to £100, while poker fans to the site can buy poker chips worth 100% up to a generous £1,500. Bet at Home Casino is serious about showing their love, which is why there are so many amazing offers. In addition to the welcome bonuses, you will get a 25% bonus of all your stakes gambled the previous month, on the first day of the month, through the Casino Loyal Promotion. Mobile gamers can also look forward to exclusive bonuses sent via text message. The casino also randomly selects players every day and awards them with £60-worth of free credits. Sports bettors at Bet at Home Casino can enjoy a few promotions too, like getting your stake back up to the amount of £50 in any Bundesliga matches that end in a 0-0 draw. There are plenty of other sports promos on offer at Bet at Home, too. That’s not all, though. This casino has a dedicated poker room and poker players can become part of the casino’s exclusive loyalty club. You get to collect status points and you play games and tournaments. There are 5 tiers to the VIP club, with each one offering the chance to qualify for free roll poker tournaments held every day. While there doesn’t seem to be a specific loyalty programme for casino players in general, there is a Winner of the Day promotion that starts at £50. The jackpot carries on growing by £50 a day until one lucky winner redeems their prize. Payment methods available at this online casino are diverse enough to satisfy most player’ banking needs. You can use most of the same deposit methods for your winning withdrawals. Deposit and withdrawals times differ depending on which banking method you use, so just be sure to check before making a decision to avoid disappointment. NetEnt is the provider of choice at Bet at Home Casino. Famous games like Gonzo’s Quest and Starburst can be found here along with hundreds of other slot titles. There’s also an abundant virtual game collection, including all the usual table games. One of the rather enticing things about Bat at Home Casino is its jackpot section. It is packed full of some of the best progressive slots around, including Arabian Nights, Mega Fortune, Geisha Wonders, Caribbean Stud Pro Series, Mega Joker, Cosmic Fortuna, Super Lucky Frog, Tiki Wonders and Icy Wonders. If you love exploring new games that you’ve yet to try, you’ll find the casino’s search fillers really handy. Other than the search box that lets you narrow down your favourite games, there are also a few neat filters that let you see all the games that come with an Avalanche feature or free spins, for example. Over and above all this, you can also filter the games according to their theme. If you’re after an immersive, unique casino experience, complete with a live dealer managing your table games in real time, you’ll get it here at Bet at Home Casino. You can interact with your dealer via the chat function and experience serious exhilaration of landing big wins from your armchair! There’s also a cool German version of live roulette which is a rather unique addition. What we’d like to see the casino add in the future is live Hold’em and perhaps live baccarat. Bet at Home launched its mobile casino back in 2016 and through the mobile version you can play all the casino and live dealer games, as well as virtual games and sports betting. You can get into the mobile casino through your device’s web browser. With an iPhone or iPad, it’s best to use the Google Chrome or Safari browsers on iOS 5 or high or even Chrome 25. If you prefer, there is a dedicated app you download for Android and iOS devices. The provides an outstanding mobile gaming experience complete with an impressive selection of games, including blackjack, roulette, live baccarat, live roulette, live blackjack and tons of popular video slots so you never have to miss out on the casino action, provided you have an internet connection on your device. When it comes to player safety at Bet at Home casino, you can enjoy a considerable advantage. This online casino holds licenses from the most reliable regulators in the industry, including the Malta Gaming Authority and UK Gambling Commission. There’s no doubt that when it comes to the safety of your banking and personal date, you’re in good hands at Bet at Home Casino. This online operator relies on 128-bit encryption software and every single exchange of information is handled through secure SSL encryption. No matter which banking option you choose, your data is completely protected from misuse and theft. What’s more, this online casino carries the prestigious eCOGRA Safe and Secure Seal, which means both the operator and every game it offers is completely fair and has a reasonable house edge. What’s more, NetEnt themselves regularly conduct TST Audits to ensure fairness of their games. Bet at Home Casino further provides ample assistance for problem gamblers in the form of tips and advice, counselling and advice on their website. You can set limits on how long you gamble as well as how much you spend over a certain play session or time period. There are also extreme measures in place like a 6-month self-exclusion period and a 24-hour cooling period, which goes to show that this casino does indeed have your best interests at heart. Customer support is a very important aspect in the online casino industry. You need to get assistance when you need it. That’s why Bet At Home Casino has a number of channels through which you can get in touch with their friendly customer support staff. You can get hold of them through live chat, landline or email. Email responses take a little while, but live chat is almost instant. The hotline, beware, is not free, but it does bump you to the top of the waiting queues if your query is urgent. Bet at Home casino is a very well-rounded online casino. There’s everything from video poker and slots to live games and table games, all from one of the developer favourites, NetEnt, guaranteeing casino fun all the way. With round-the-clock support and plenty of banking options, this casino caters for everyone. We’re particularly impressed with the live dealer section and while the video poker games are a little limited in number, the amazing graphics and animations along with smooth gameplay, tight security measures and sheer entertainment value, we’ll overlook it. The bonuses simply add to offer you a thrilling and immersive experience at Bet at Home Casino. Signing up only takes a matter of minutes, so why not create a new player account and see for yourself!